Bring water to a gentle boil and add boba. Boil until boba is soft and has doubled in size, about 10 minutes. They will begin to float to the top. Reduce heat and simmer for 5 minutes, remove from heat and let cool completely. 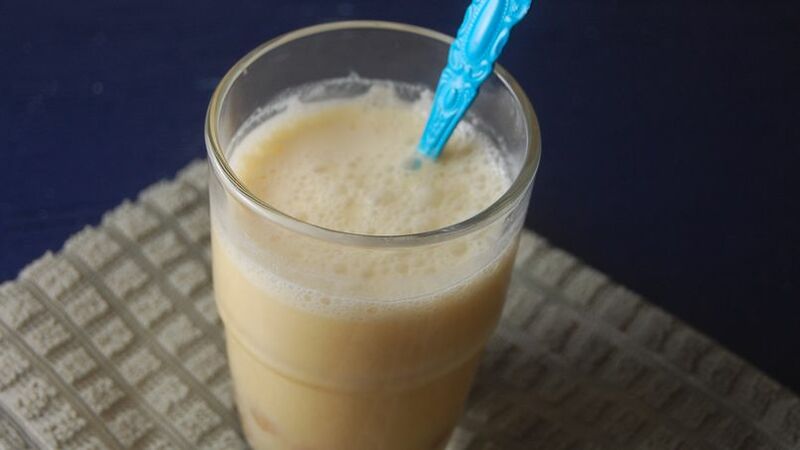 Pour 1/2 cup mango juice, 1/2 cup green tea and 1 tablespoon condensed milk to each glass. Stir to combine, add cooled boba and top with ice. Serve. Plan ahead: pre-cook boba and store in fridge in simple syrup. Play around with different teas and fruit juices to create exciting new flavors. I had my first boba tea two years ago while visiting my brother in California. The tea was lightly sweetened, flavorful and rich with tapioca pearls. I was hooked after the first sip! Here in South Texas, boba tea is slowly coming around, but I can’t wait that long, so I've decided it was time to create my own recipe to be able to enjoy at home.